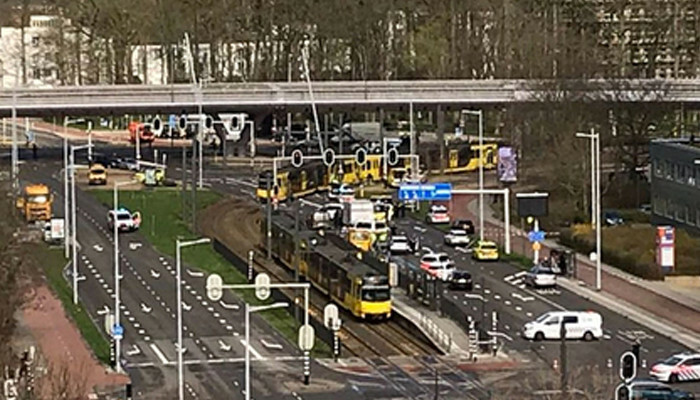 A gunman has opened fire inside a tram in the Dutch city of Utrecht, killing one person and injuring several others, reports say. The area in the west of the city has been cordoned off by authorities, and emergency services are at the scene. Authorities said the gunman is still at large. Police have asked people to stay away from the area and schools to keep their doors closed. They say they are investigating a "possible terrorist motive".